Boombox Guitar Tuner will get the party started. Fire Guitar Tuner tunes your guitar in seconds. Online Guitar Lessons toolbar for Internet Explorer. Online Guitar Lessons toolbar for Internet Explorer. Helps you find the top Guitar lessons Online, along with Guitar tutorials and Guitar playing tips. 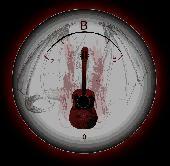 EzyTuner is a fast, accurate instrument / guitar tuner and metronome. 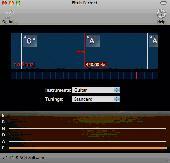 Tone Guitar Tuner is a chromatic tuner for the tuning of electric and acoustic guitars on your PC using your sound card. enable Guitar Tuner performs real-time tuning for a range of instruments, as well as presets for each instrument in a variety of styles. 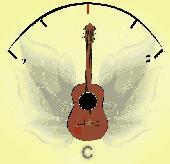 Cagles Mill Guitar Tuner, as its name implies, is a guitar tuner. The Renegade Guitar Tuner was going to be a new feature in Guitar and Drum Trainer 2, but since it? The Renegade Guitar Tuner was going to be a new feature in Guitar and Drum Trainer 2, but since it?s only in beta, I?ve decided to release it on its own. The Renegade Guitar Tuner is free. Fairy Tuner will set your wings a'flutter whenever your guitar is in need of tuning. This is a simple and compact (64Kb) bass guitar tuner app written using the Windows MIDI system.